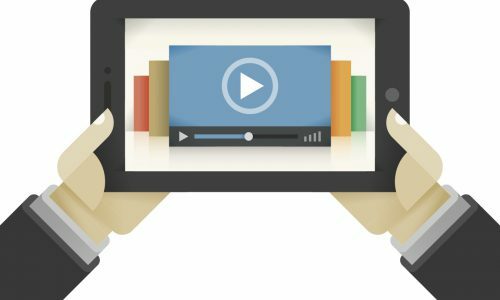 Video offers an excellent way to connect with your customers, but how can you make sure you're using the best platform for your business? YouTube and Vimeo are the most popular video applications around and each has its own benefits and potential drawbacks. Encouraging engagement, shareability and fast, reliable information distribution, video should be an essential part of any marketing campaign. What's more, Neilson found that within one month, 76% of the Australian active online population viewed an online streaming video. So how should you host these all important videos? YouTube is by far the bigger and more established of the two platforms. According to its press page, it boasts more than one billion unique users every month and mobile revenue on YouTube is up by over 100% year on year. An even larger boon for the video platform is the fact that it is owned by Google and its ties with the search giant can offer certain benefits. As part of Google's entire ranking package, YouTube videos tend to be displayed prominently in the search results and there is even some evidence, claims Seer, that video snippets from rival platforms are being removed from SERPS. Another good thing about YouTube is the fact that it caters well to marketing campaigns of all sizes, offering everything from free access to tie-ins with well-established Google paid advertising solutions, such as AdWords. Youtube also says that over a million advertisers are using Google ad platforms, the majority of which are small businesses. However, there are some downsides to using YouTube. For a start, there's a chance that other businesses will use the platform's competitive advertising against you. In the same way that rival companies can bid for brand related keywords in paid advertising, they could also target your videos with adverts for their own brands. Also, the very fact that YouTube is so big means that not all of the videos on it might be as high quality or professional as you might hope – and some of these may end up displayed next to your content. There's also the tricky fact that YouTube wants browsers to stay on its platform for as long as possible while you, as a business, really want them to click though to your own site. A relatively new kid on the block, Vimeo has made great strides in the world of online video. In 2013, it was able to claim that the platform enjoyed nearly 5 million video plays and 135,000,000 unique users around the world. There are also some upsides to being the smaller of the two competitors. For example, a smaller, tighter community means that there is a higher chance of quality content – meaning your videos are more likely to be in good company. Even better, Vimeo is committed to offering an advertisement-free platform, so you don't have to worry about competitors muscling into your video space with pop ups or banner ads. To be able to afford this, Vimeo does have to charge a subscription fee but the cost is low and should be affordable for even small, new businesses. That said, being the smaller of the two, and not having the advantage of being owned by Google, Vimeo probably doesn’t have the power to achieve the number of impressions or reach as many browsers as its competitor. Ultimately, deciding which platform to go for will depend on your brand, the kind of products you will be advertising and your budget. Vimeo may offer more opportunities for your business to appear next to higher quality content but YouTube is more easily scalable for businesses of all sizes.